In 1946, grandfather Tom Wall Sr. and his wife decided began selling mobile homes in the Huntington, Indiana area. They started a small lot on which their friends and the local community placed their trailers. Soon this lot was full and they began to see a potential business sprouting. So they purchased larger plots of land and started T.D. Wall, Inc. The mobile home business blossomed and bloomed, and soon sons Tom, now Huntington County Commissioner and Don, Retired Sergeant on the Huntington Police Departmentfor over 30 years, took over for their father. In 2007, T.D. Wall saw the opportunity to branch out and begin selling and installing Hiniker snow plows, salt spreaders and truck accessories to a wide range of trucks and equipment. These are now sold to home owners, contractors and government entities. Now with a custom fitting department, we are able to provide our clientele a custom installation on any make. We have begun working with horse and livestock trailers, customizing them for buyers to take to shows, with top-notch living quarters for owners in the front and luxury stock areas for livestock in the back, gooseneck and bumper pulls. Discovering a high demand for these trailers. 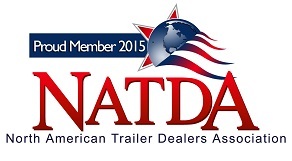 In 2008, we officially established horse and livestock trailers as a key T.D. Wall Inc. product when we had the privilege to start selling Exiss, Sooner trailers. T.D Wall Inc has increased the manufactures we represent including Barrett, Big Tex, Frontier along with Alcom and also featuring Sierra Living Quarter Trailers. T.D Wall Inc. is the only Freightliner SportsChassis Dealer to build your new truck. 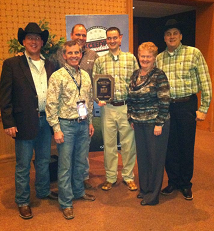 2011 was a big year when we opened our second branch in Hicksville, Ohio. Currently all operations are being handled at our Warren Indiana location at Indiana interstate 69 & St Rd 5 at the 278 mile marker on 69. Tom and Don along with the Wall family with the support of all of our sales and service staff look forward to earning your buisness. With a bright future in horse and livestock trailers, mobile homes and plows, and SportsChassis trucks we look forward to serving you as our customer! Presently you can contact us by phone, email, Facebook or at one of the 25 trade shows we travel to.